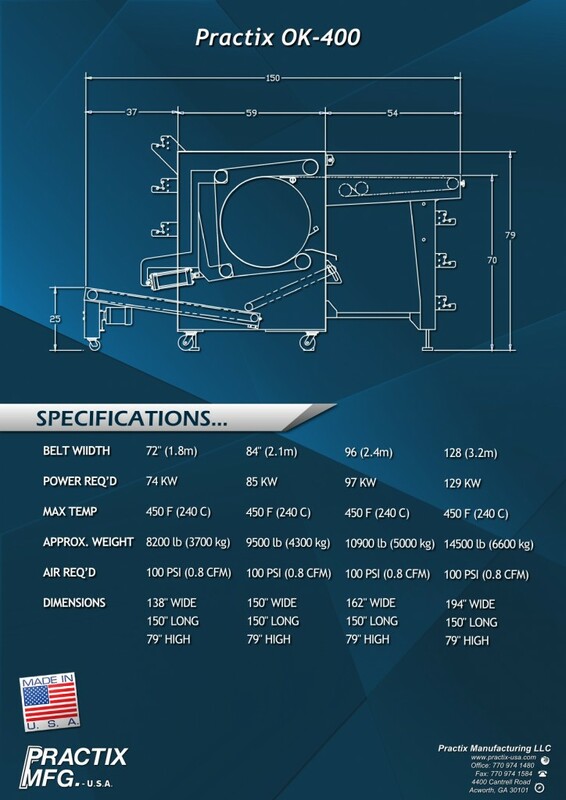 The OK-400 belt press offers the latest design advancements in continuous rotary belt heat transfer printing equipment for exceptional temperature control and print quality. These presses come standard with endless belts and the heaviest rollers on the market for firm, uniform pressure and flawless ink application. For added precision, this rotary press also comes with pneumatic cylinders ensuring uniform pressure for exceptional print quality. 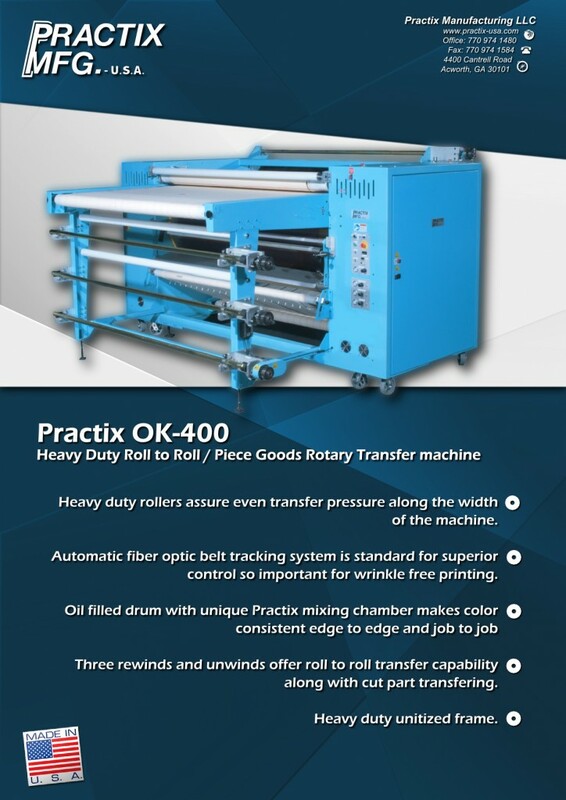 Plus, like any Practix belt press, the OK-400 has a solid, unitized design and has a forged-steel frame for unmatched stability and dependability in even the most intense work environments. All of our machines, including the OK-400CP dye sublimation printer, come backed by a one-year mechanical and six-month electrical warranty. Plus, Practix machines are fully customizable to meet the size and color requirements of your facility. We service businesses worldwide, and we are often able to ship next-day, so call or e-mail us today and let us consult you on the right sublimation printer for your needs.